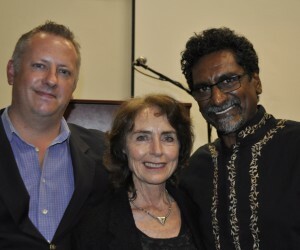 South Africa is ‘against the ropes’, and the people of South Africa do not trust the leaders, Jay Naidoo, former cabinet minister and Cosatu leader, said at the annual Frederik Van Zyl Slabbert lecture in Stellenbosch. “Twenty years into South Africa’s democracy, we should have been celebrating, yet it seems that no one is much in the mood to do so. We are a nation against the ropes,” Naidoo said yesterday. He was delivering the third annual Frederik Van Zyl Slabbert (FVZS) honorary lecture, hosted by the University’s FVZS Institute for Student Leadership Development, and sponsored by the Konrad Adenauer Institute. “We are sliding into a system of crony capitalism. And that is where government has to overcome a huge trust deficit with citizens,” Naidoo said. “The overwhelming view is that delivery is poor, marred by corruption, and that systems fail because of incompetence and mediocrity. This is what sparks the fury, the anger that is driving much of the close to 13 000 service delivery protests each year. The people of South Africa do not trust the leaders," Naidoo said. He urged the audience to demand that all tenders be published on the internet, that all ministers’ entertainment and travelling expenses are made public, that politicians and state officials use public hospitals and schools. Turning to what he called the “mess in the platinum mining industry”, he blamed both companies and union leaders. What is needed, is greater accountability, Naidoo said, referring to a 2003 report by an Electoral Task Team headed up by Slabbert, a Stellenbosch academic and former politician who had resigned from Parliament and initiated talks with exiled members of the liberation movement during apartheid. “That report needs to be dusted off,” Naidoo said, highlighting its finding that the vote at five-yearly intervals is insufficient to ensure political accountability. Responding to a question from the audience, Naidoo said though he does not subscribe to the “Vote No” campaign launched by former cabinet minister Ronnie Kasrils, he understands the frustration that led to it. “They are responding to political arrogance and a crisis of leadership. And I dismiss any attempt to minimise these people’s contribution to the struggle for our democracy. They were some of our most courageous fighters for freedom. 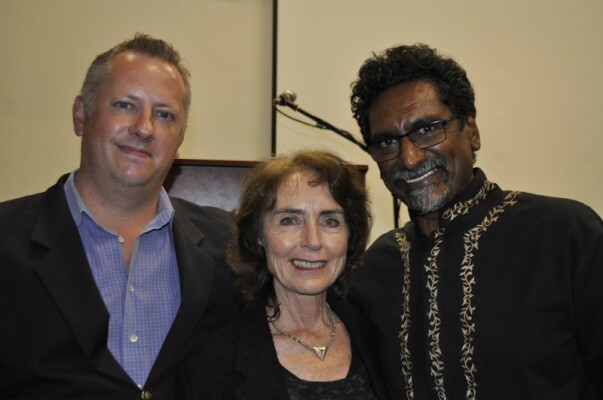 Dr Leslie van Rooi, head of the FVZS Institute said it is apt that Naidoo delivered the honorary lecture in 2014 – a year in which 20 years of democracy is scrutinised. “Through this lecture Jay helps us to contemplate the legacy of a remarkable leader; Van Zyl Slabbert. It encourages both the audience and students of the Institute to follow the principles of this legacy. Click here to watch Naidoo's speech.